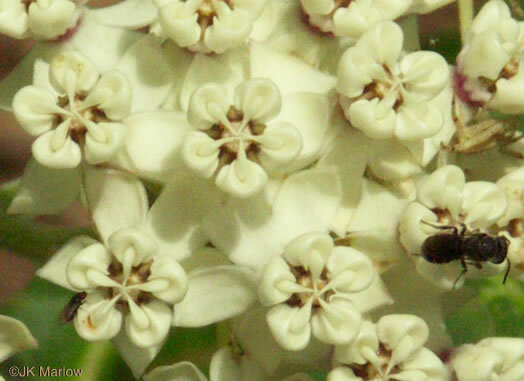 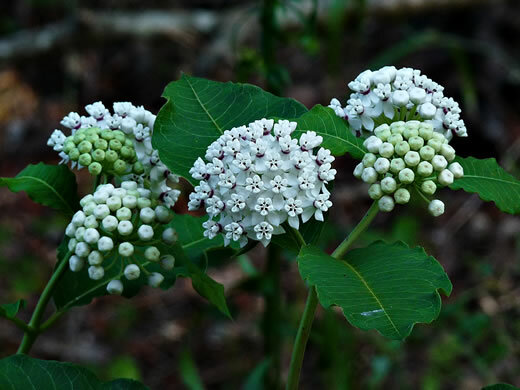 The petals are flaring, the hoods sac-like, and the horns very short, per Wildflowers of the Southern Mountains. 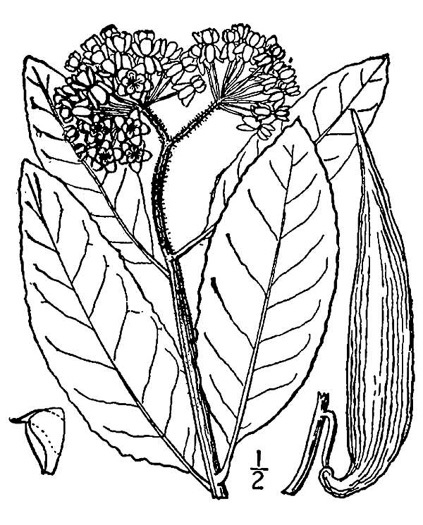 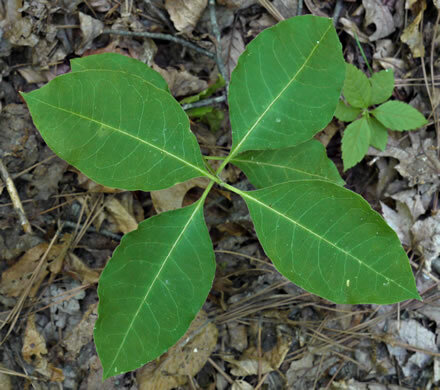 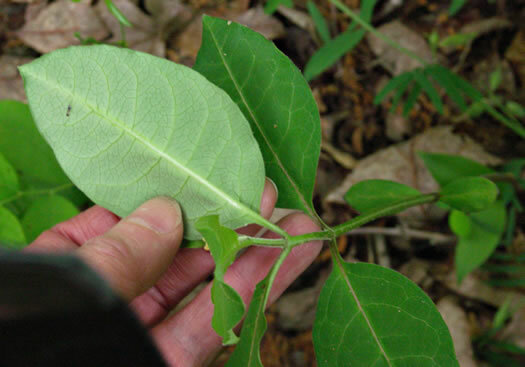 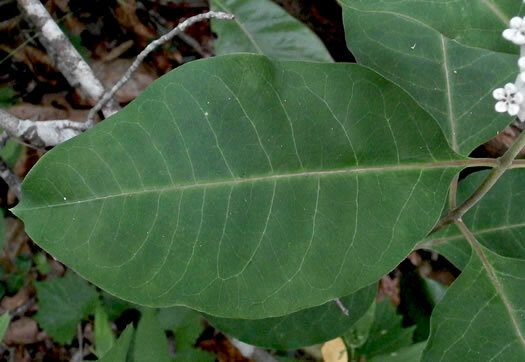 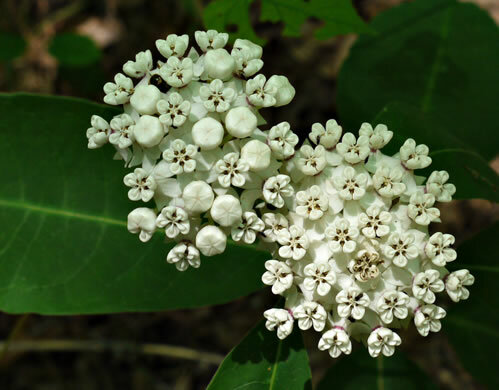 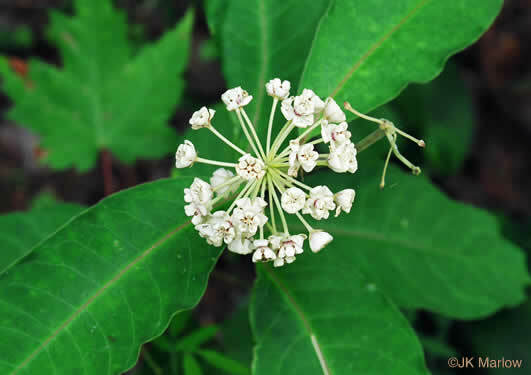 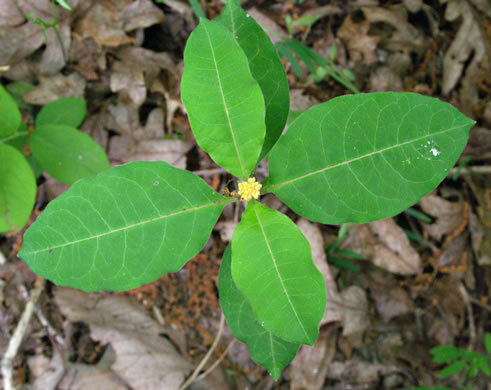 4-6 pr of broad, ovate-oblong leaves, dark green above, pale & hairy below, per Wildflowers of Tennessee, the Ohio Valley, and the Southern Appalachians. 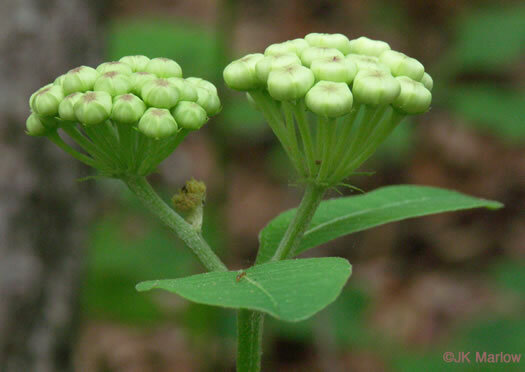 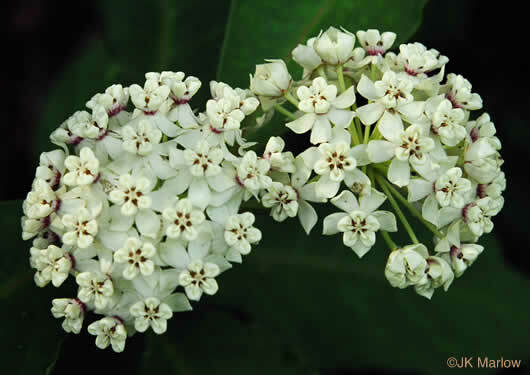 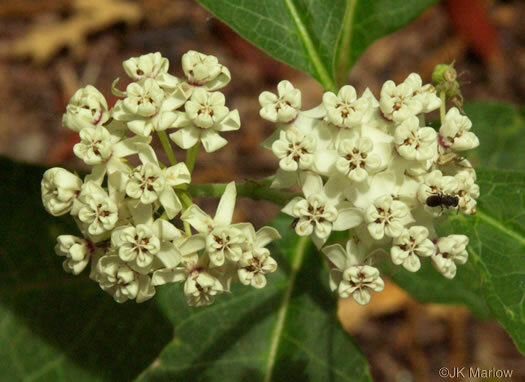 In an umbel, the flower stalks arise from a common point, per Wildflowers of Tennessee, the Ohio Valley, and the Southern Appalachians.